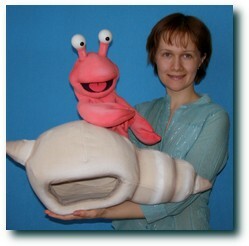 Hermit crab puppet, Puppet for sale. 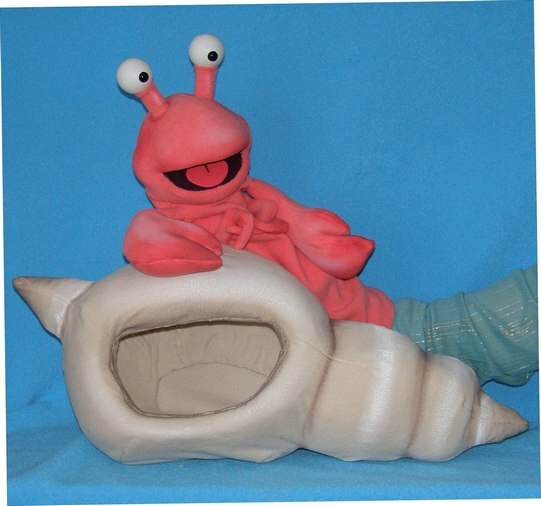 Hermit crab with shell, professional foam puppet. 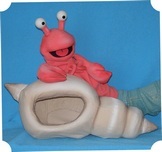 Hermit Crab is 20"(51cm) tall. 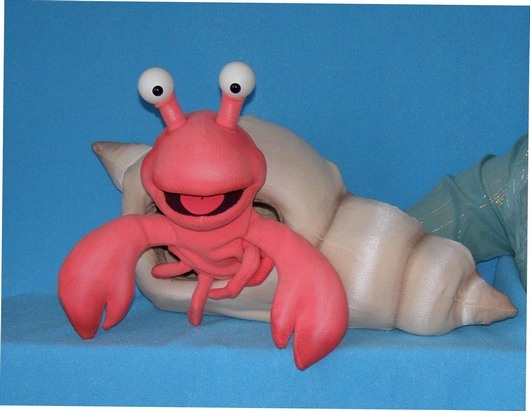 Shell is 23"(59cm) long. 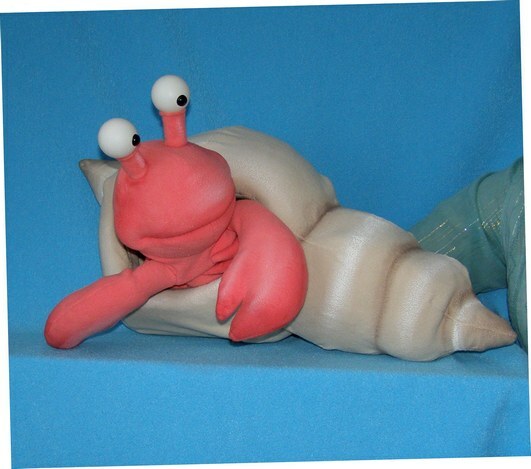 Weight Hermit crab with shell are 1,1 pounds (0,5 kg). 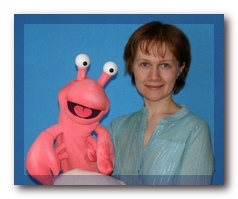 This puppet (crab and shell) is made out of foam and covered with fleece. Arm sleeve is 14" (35cm) long.